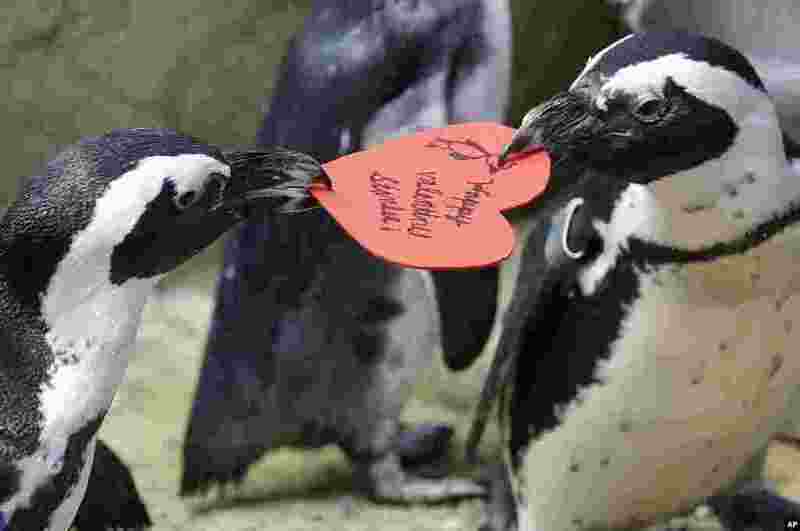 ١ African penguins compete for a heart shaped valentine handed out by aquarium biologist Piper Dwight at the California Academy of Sciences in San Francisco, Feb. 12, 2019. The hearts were handed out to the penguins who naturally use similar material to build nests in the wild. 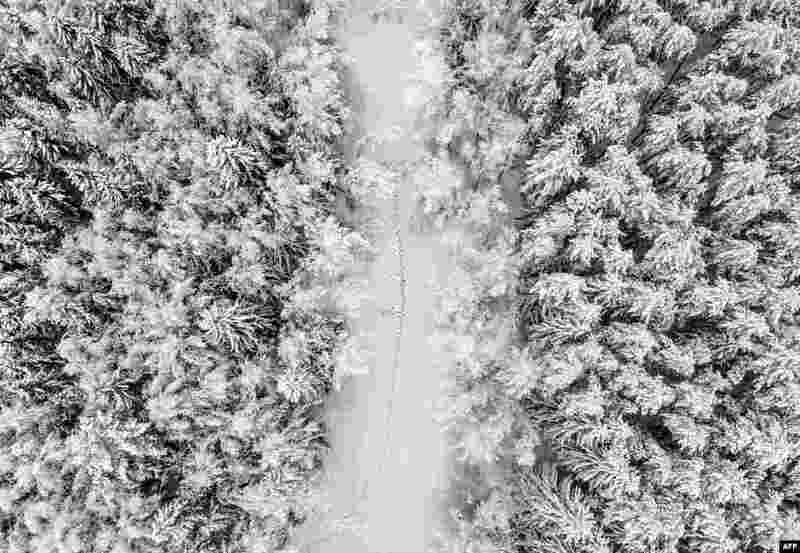 ٢ This aerial photo shows footprints along the ice on a frozen river in a forest during snowfall near the village of Troitskoye, outside of Moscow, Russia. 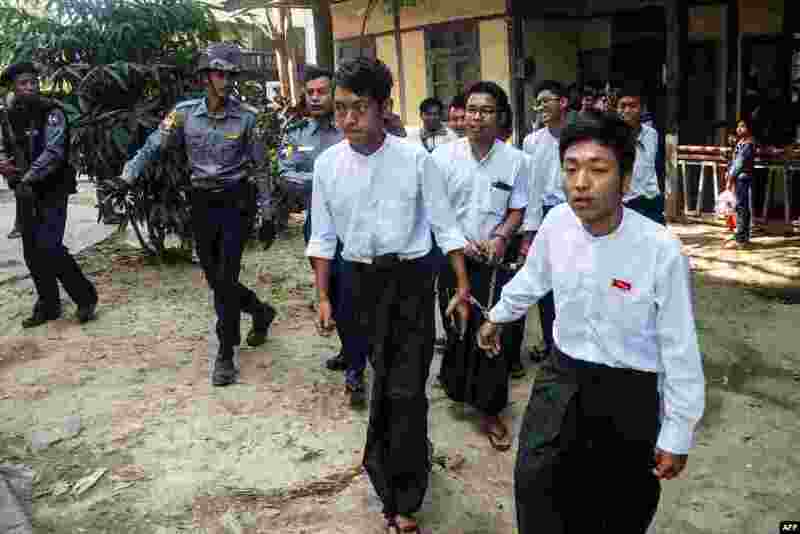 ٣ Students are escorted by police after a court hearing in Mandalay, Myanmar. Seven students were sentenced to three months in jail with hard labor for burning portraits of officials in protest over campus safety, a student activist said. 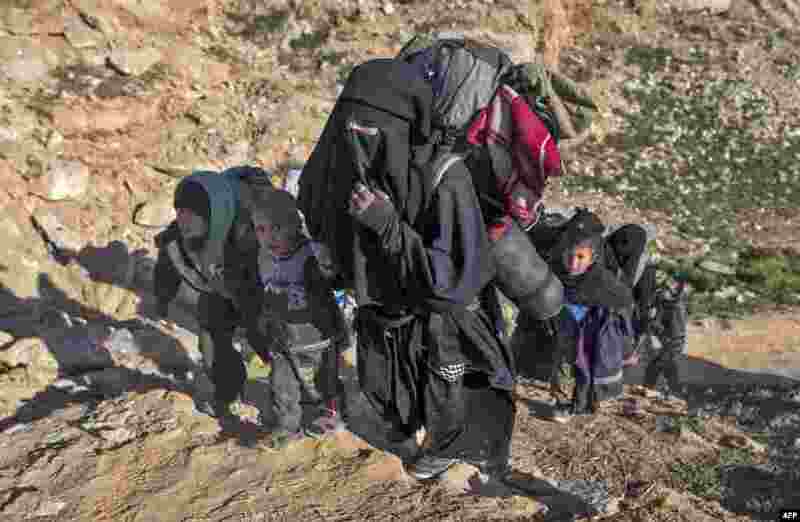 ٤ Civilians flee from the Baghuz area in the eastern Syrian province of Deir el-Zour, Feb. 12, 2019, during an operation by the U.S.-backed Syrian Democratic Forces (SDF) to expel hundreds of Islamic State group (IS) jihadists from the region.